Pride of place this week goes to the Kerry Under 21 hurlers who retained their All-Ireland ‘B’ championship at Nowlan Park, Kilkenny on Saturday last by defeating Derry in the final by 2 - 20 to 0 - 11. This was Kerry’s 9th title at this grade and in doing so, Kerry won the Ritchie McElligott Cup (presented in 2015) for the second time. Well done to all involved, including the team manager, Ian Brick (Kilmoyley), coach Fintan O’Connor and selectors D.J. Leahy (Causeway) and John Lucid (Ballyheigue). The panel on the day was: David Silles [Lixnaw], Eric Leen [St. Brendan’s], Evan Murphy [Causeway], Niall O’Mahony [Abbeydorney], Eoin Ross [Ballyduff], Jason Diggins [Causeway] captain, Barry O’Mahony [Crotta O’Neill’s], Fionán Mackessy [St. Brendan’s], Tomás O’Connor [Crotta O’Neill’s], Jack O’Sullivan [Ballyduff], Michael Leane [Ballyheigue], Jordan Conway [Crotta O’Neill’s], Maurice O’Connor [Kilmoyley], Brandon Barrett [Causeway], Shane Conway [Lixnaw], Billy Lyons [Causeway], Adam O’Sullivan [Crotta O’Neill’s], Ronan Donovan [Abbeydorney], Shane McElligott [Lixnaw], Gearóid Fennessy [Kilgarvan], Kieran O’Regan [Kilmoyley], Gearóid O’Mahony [Causeway], Darragh Ryan [Crotta O’Neill’s], Colin Sheehy [Lixnaw]. Causeway qualified for the Final of the Credit Union Co. Senior Hurling League Division 2 with a 7 - 21 to 2 - 9 home win over Dr. Crokes on Friday evening last. The second semi-final, between Kenmare v St. Brendan’s will go ahead on this Friday, 8 August at Kenmare, 7.30p.m. (extra time if necessary). In the 2018 Co. Minor Hurling Championship last Sunday, Abbeydorney has a 3 - 17 to 2 -11 win over Ballyduff. 10.00a.m Competitions at Under 12, Under 16 and senior levels. Details on the club Facebook page. Ballyduff won the North Kerry Under 14 A championship title [Michael Hennessy Memorial Shield] last Sunday at Dromakee where they had an 8 - 16 to 1 - 2 win over Ballyheigue. Team captain was Conor Murphy while Kevin O’Carroll won the Player of the Match Award. Match referee was Tommy Guerin. Lixnaw 3 - 7 Kilmoyley 1 – 12. Ballyheigue 7 – 6 Lixnaw 3 – 7. First named team at home; games at 6.30p.m. Round 5 is fixed for Tuesday, 21 August. The Under 15 'A' Final will also go ahead on Tuesday, 21 August. 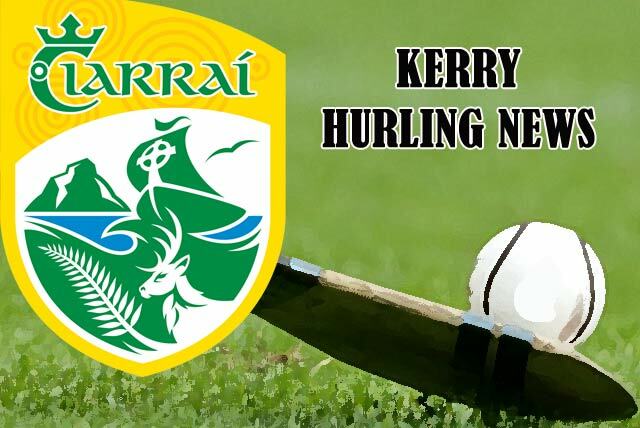 Check the North Kerry Hurling Board Facebook page for all up to date fixtures and results.